From plant pots to art installations, the humble plastic bottle has been recycled in a wide variety of ways. 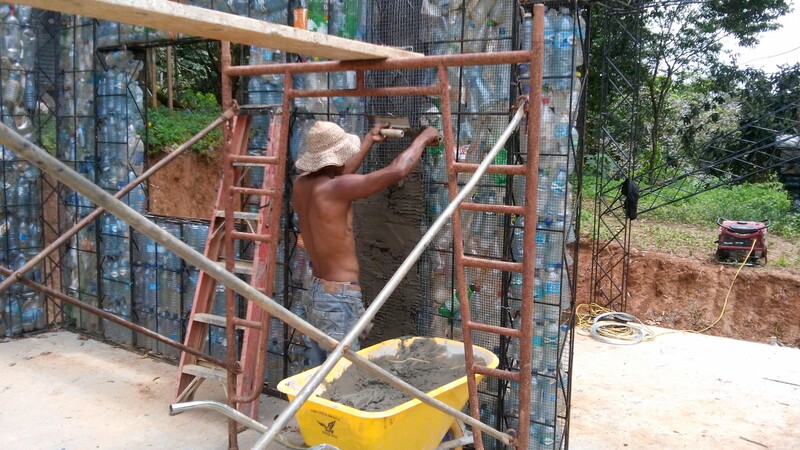 However, Panama has taken the craft to another level by using plastic waste to construct walls in the world’s first Plastic Bottle Village. 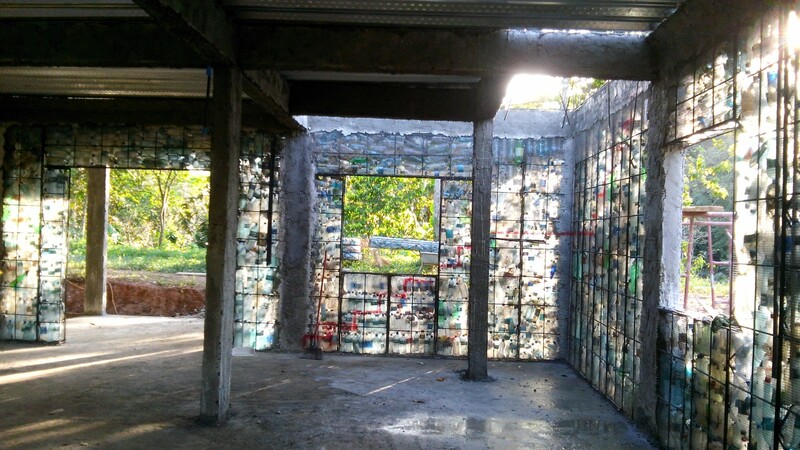 Recycled bottles are packed inside steel mesh cages and concrete to create regular houses (no wood is used). 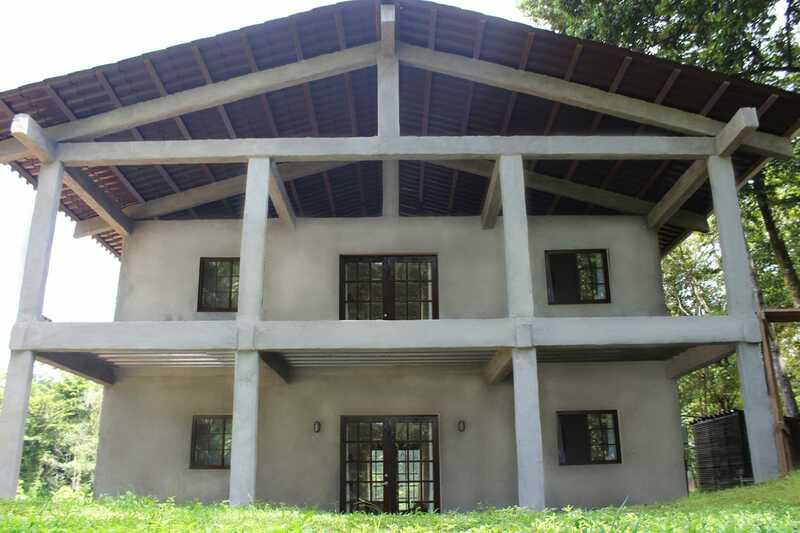 Founded by Canadian Robert Bezeau in August 2015, the eco-residential village of four complete houses is situated in the hilltop jungle of Isla Colón in the Bocas del Toro province of Panama. As well as making good use of a commonly discarded item – one estimate puts typical human consumption of plastic bottles at over 14,000 during a lifetime – ‘reconstructed’ buildings have other benefits. These include energy saving (improved insulation makes a plastic bottle house around 17 percent cooler), earthquake resistance, cost saving and rapid construction, and using reusable technology to encourage green living. “The project is to build 120 houses using plastic bottles within the next eight to ten years,” explains Bezeau. “I would also like to build an international training centre within two years where people from around the world can come to learn how to build and reuse these devastating plastic bottles.” When you consider that it takes hundreds of years for plastic bottles to decompose, and tiny fragments will still remain, Bezeau’s choice of the word “devastating” is appropriate. Bezeau has no problem sourcing the raw materials, with half of the bottles extracted directly from rubbish bags, and half from regular trips into the nearby town of Bocas del Toro with his pickup truck. 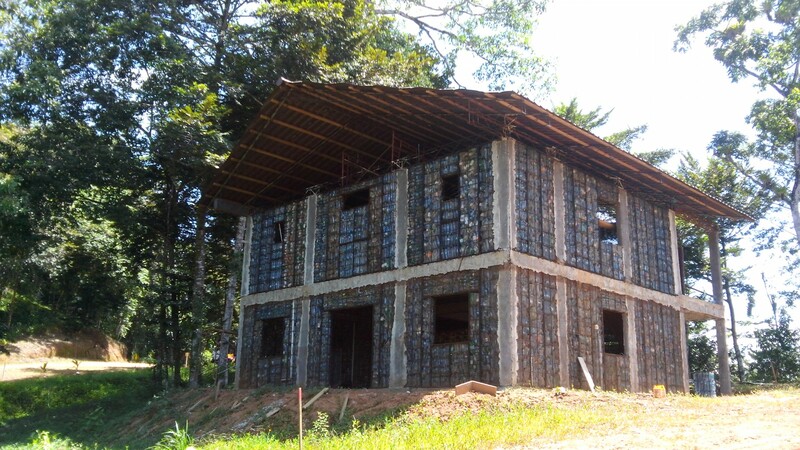 This year they completed the first two level house using 22,000 PET bottles and Further down the line, he plans to use recycled plastic bottles in farmland irrigation. 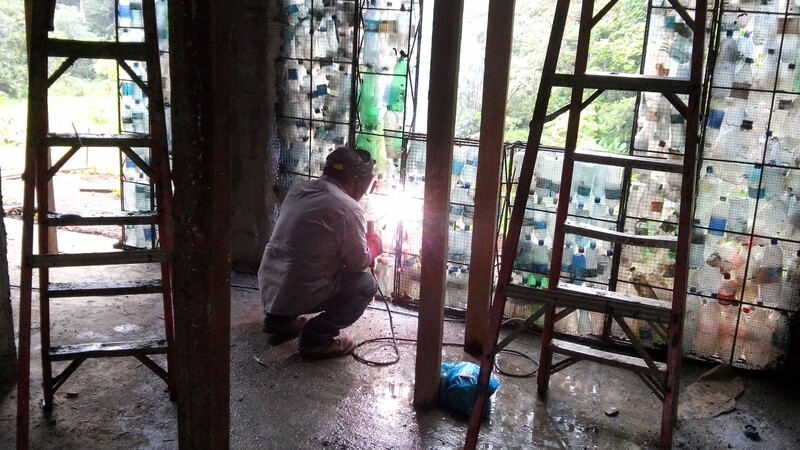 In November Bezeau launched an ‘Introduction to our Building Technique’ using PET bottles as one of the construction materials. He would also like to build an international training centre within two years where people can learn how to build and reuse these devastating bottles. “At a time where humanity is struggling with the invasion of plastic bottles in our lives, we are teaching the world how to eliminate many PET bottles, by using them to serve us in building homes and shelters, instead of destroying our planet,” explains Robert Bezeau. AtlasAction: Get the ‘Introduction Plan’ to the Plastic Bottle Village – Building Techniques for $29, or invest in ‘Le Grand Plan’ the complete A-Z construction guide for $99. Tags: Architecture, Awareness raising, Community, Environment, Housing, Plastic waste, Pollution.